Rongyu guitar studio product handmade resonator guitars since 2002, is a vibrant young company, has established cooperation with the United States, Britain, Germany, Australia and other places well-known brands, such as the Republic, Michael Messer, Paramount,etc. 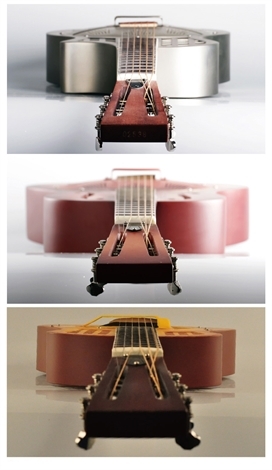 In recent years, Rongyu led ROYALL brand into the Chinese market, to send the best quality resonator guitar with the most reasonable price to music lovers, ROYALL committed to send new music culture to China's music career, for musicians to the path of music acme experience at home and abroad. Adhere to the strongest quality with reasonable price.